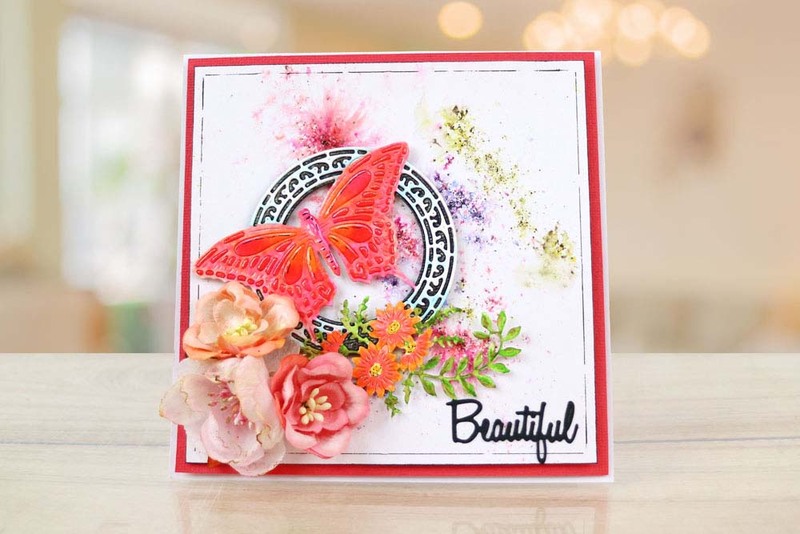 The Tattered Lace Red Admiral Butterfly is a stunning spring and summer design with florals, a butterfly and a decorative circular frame. 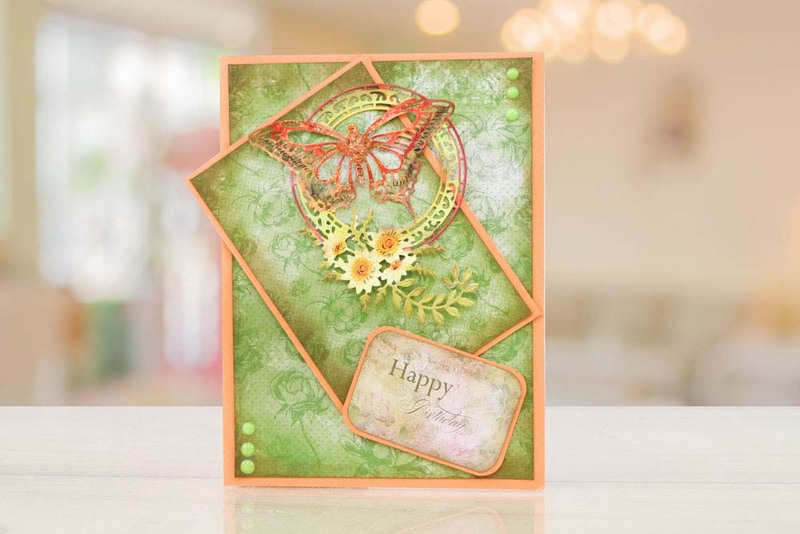 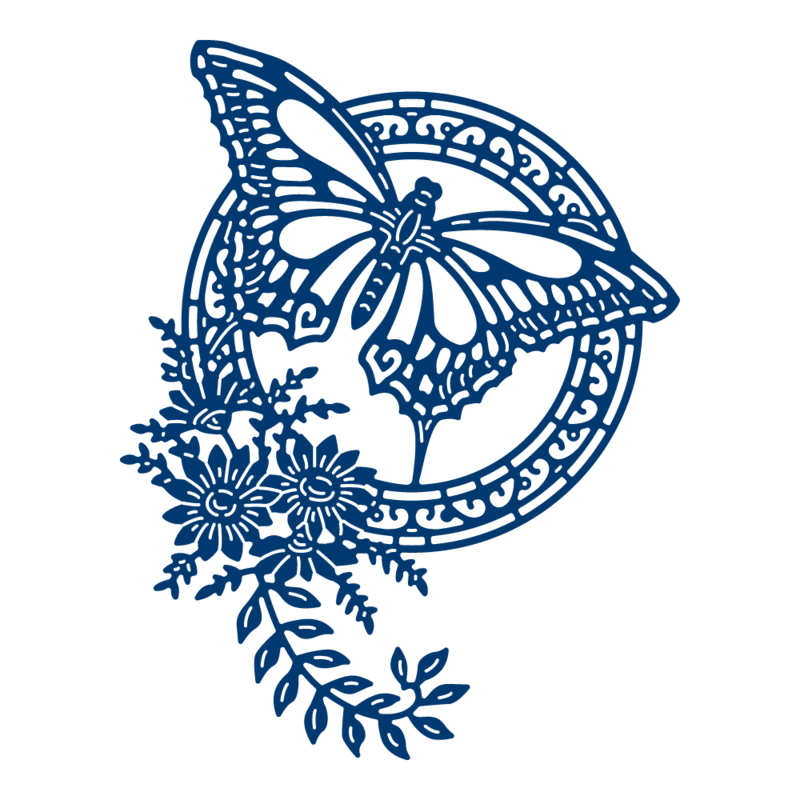 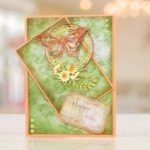 Trim away the butterfly to add to projects on its own or even directly place it on top of another die cut and raise the wings to add dimension and 3D volume,You could snip into the design to use the Butterfly and Flowers separately or to add extra decoration. 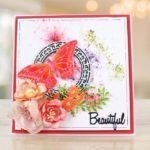 This die measures approx 9.3cm x 12cm.